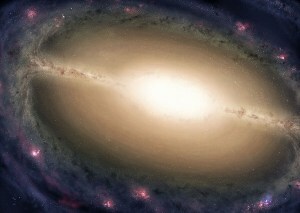 Many of the most impressive objects in our universe are immense: supermassive black holes that contain the combined mass of billions of stars, extra solar planets that dwarf Jupiter several times over, and galaxies that are large enough to swallow the Milky Way, Andromeda, and all the space between. Such immensity is awe-inspiring, but the science of the very small is equally fascinating. On the microscopic level, we have particles that seemingly break the laws of physics; moreover, scientists have found ways to manipulate said particles into doing improbable things that could be amazingly beneficial to us. Overall, proving that, if we truly want to flourish technologically, we need to invest the time and resources needed to fully uncover the laws that govern the universe on a small scale. Researchers recently made slivers of quartz glass only two centimeters wide and two millimeters thick that are capable of storing information for hundreds of millions of years. These devices are waterproof, chemical and weather resistant, and able to withstand temperatures exceeding 1,000 degrees Fahrenheit. It is estimated that these tiny bits of quartz glass will protect data from corrosion or damage for at least 300 million years (to give you some context, 300 million years ago amphibians were still the dominant land vertebrates and Pangaea was still in the process of breaking up). Produced by Hitachi (the electronics giant known for their reliable hard drives) in conjunction with Kyoto University, the slivers house four layers of dots created by a femtosecond laser (a device that generates an extremely short burst of light). The dots represent information in binary form, which should be easily comprehensible, even to societies that are separated from us by thousands of generations. This invention could completely transform archival systems and safeguard civilizations’ most precious information. 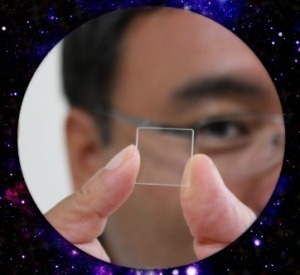 Each glass is able to store data at an information density 1.1 times that of CDs. As we continue to delve deeper and deeper into the realm of the infinitesimally small, scientists will continue to break boundaries and revolutionize the way we see the universe. A Cure For Cat Allergy? Science One Step Closer. Was the Moon Created by a Big Splat?